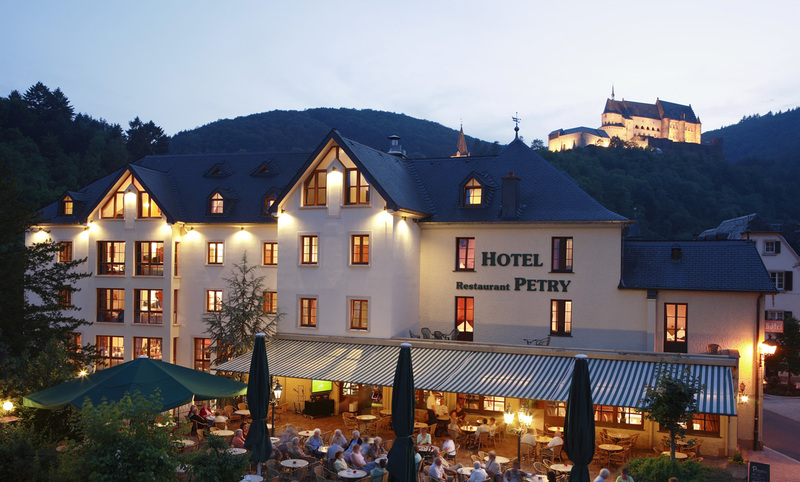 The environment-friendly Hotel Petry is situated in the center of Vianden close to the luxembourgish Ardennes and the german Eifel. 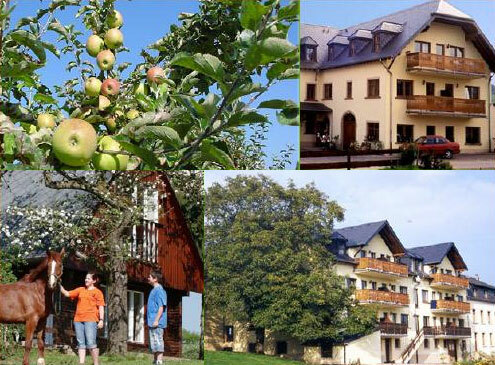 Its facilities include a sunny terrace, with children’s playground and private car parking. 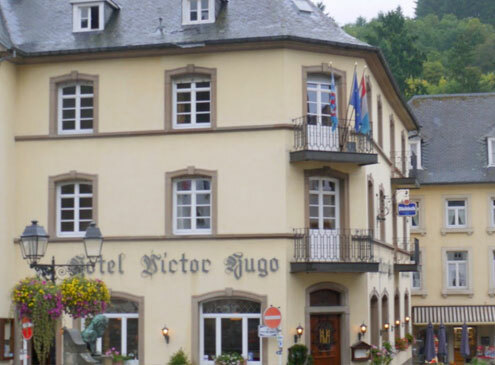 The hotel is equipped with clean, modern rooms which can be reached easily with elevators (wheelchairs no problem) . 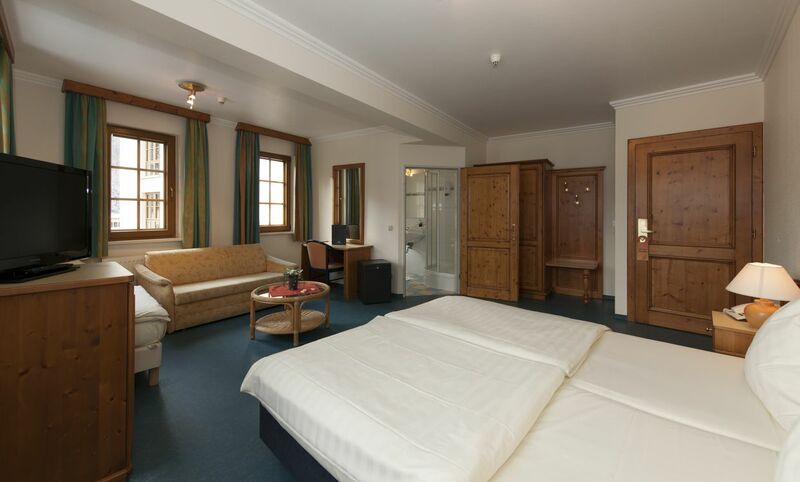 All rooms have showers or bath, WC, telephone, alarm clock and cable-tv. In the case of bad weather we offer free use of our fitness-room . 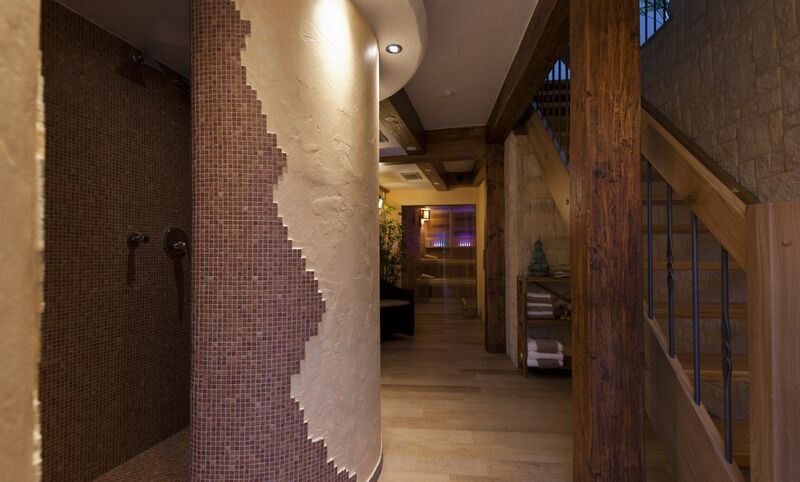 In our sister-hotel , the Belle-Vue we offer also a new indoor pool with hydro massage and whirlpool + saunas, you may use it for free. Ecology: the toilets are flushed with rain water, heat exchangers and advanced isolation enable low-energy heating and cooling. Bus-station 100m distance . Free parking for your car and free garage for your bicycles and motorbikes. Special group rates on request via email. Beautiful and new luxury apartment for up to 6 persons / 3 bedrooms - 2 bathrooms . 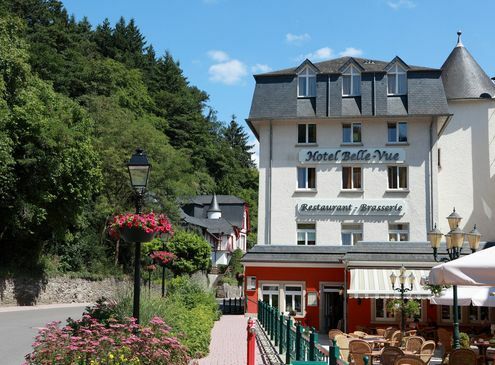 Embedded in the splendid landscape of the Ardennes, Vianden has a tourist tradition for more than a hundred years.